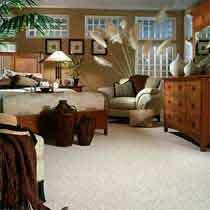 Creation Carpets and Flooring business for sale. 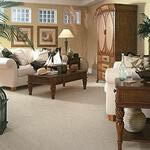 Free Creation Carpets and Flooring business opportunity information. Business opportunity License no royalties, no franchise fees! Low investment franchise information. Creation Carpets of America (CCA) was founded by owners Robert and Cathy Morse to bring better, more affordable opportunities to the floor covering industry. In the ten years since it was established, it has spread across 41 areas of the <?xml:namespace prefix = st1 ns = "urn:schemas-microsoft-com:office:smarttags" />US and is positioned to reach superb levels of market growth. CCA is an exclusive, one-of-a-kind concept that satisfies the demand of individuals who want to own and operate their own flooring business. The concept is simple. With a minimal investment, a dealer can receive training, preferred pricing, marketing and promotional materials, access to customer financing sources, and the prospect of becoming a business owner and operator in a matter of weeks. The average cost of starting a traditional showroom carpet business throughout the United States is in excess of $75,000! This high investment is attributed to showroom and inventory expenses, sales and staff salaries, credit lines and warehousing costs. Profit margins would not be realized for a long time. Through CCA's exclusive program, these costs are eliminated and you will be able to start making profits immediately from our numerous product lines. Become a Creation Carpets of America dealer today! Discover the tremendous advantages of owning and operating your own carpet business. An overview of the carpet industry, including manufacturing techniques and distribution methods. Assistance in developing a marketing plan for your dealership, including sales and promotional materials, a large selection of carpet samples from three leading carpet mills and tips on where and when to advertise. Access to other product lines including hardwood, ceramic tile, vinyl and laminates. Sales training, which includes lead follow-ups, sales calls, sample presentations and sales closing techniques. competent installers, how to process a customer credit application and how to insure customer satisfaction. Your expenses for training at our headquarters in San Antonio, Texas. Access to Creation Carpets of America guaranteed lowest mill direct pricing, and guidance on setting your own profit margins. 100% commission! You control the sale, the discount you give your client and how much money you earn. Ongoing operational and marketing support throughout the term of the agreement. And... you will have no inventory or retail showroom expenses! Note: Business opportunities available in the USA only. To learn more about the Creation Carpets of America business opportunity, simply complete the form below.